The application of lean start-up principles, since its articulation by Eric Ries in 2008, has caused something of a revolution in how we think and act in regard to new venture creation. It is difficult to find a published new business creation methodology since then that doesn’t make fairly heavy use of these principles. Although Ries’ original methodology was focussed on high tech start-ups, the basic principles have been found to be universal. At its core is the concept of Validated Learning. Very simply, a core driver of an entrepreneur is the conviction that their intended target market will willingly part with their hard earned cash for the product or service they have dreamt up. However, they can never be certain, no matter how comprehensive the business plan until it actually hits the market and the orders either pour in, or (which is the more regular case) don’t. In many cases it’s already too late for the entrepreneur to recover, as by this time months of planning and enormous amounts of capital have been wasted on development and distribution of a product that no one actually wants. Lean start-up methodology suggests a process of learning by exposing the public to a series of cheap, quick experiments, or iterations, that are something like the solution you eventually want to introduce. From the reaction of the public to these experiments, learning is gathered: Is the problem my solution is intending to solve a compelling problem for this group? If so, does my solution actually solve it? If so, do they want it badly enough to pay for it? By listing and validating or invalidating assumptions through the gathering of real information the chances of creating a successful business and not wasting years of effort and money are greatly increased. Using these principles as a foundation, IVC (Ideation, Validation & Creation) is intended to help Fellows as they prepare to refine, validate, and build their new venture ideas. The process, which has been developed and implemented in conjunction with Cactus Advisors, is designed to help Fellows evaluate ideas, stress-test them, and then create MVPs (minimum viable products) and prototypes in order to conduct the experiments necessary to validate their assumptions and prove that a viable market for their solution exists. The intended outcome is that by the end of the IVC process the participant is confident that their product or service has a viable market and is paired with a sustainable business model for bringing it to market. Key Objectives: Identify an idea or concept with a clear value proposition, a problem that needs solving, specific pains and gains, and simple (one line) revenue calculations. 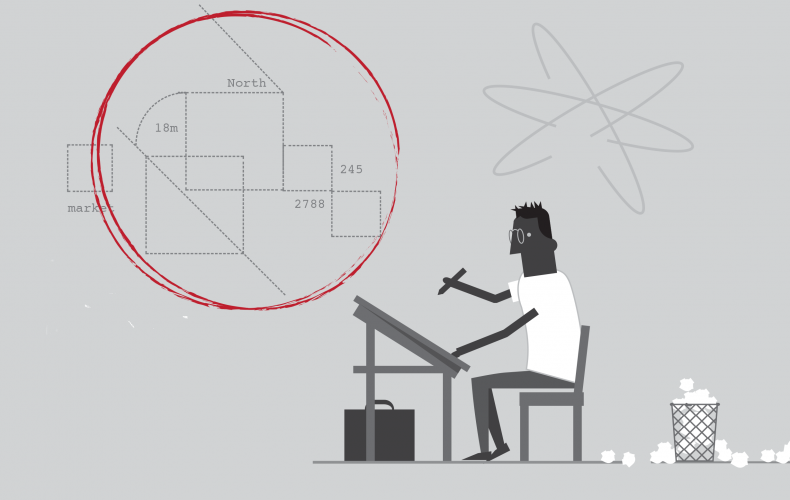 Format: Using various tools including value proposition canvas, lean canvas and customer interviews, participants will be guided through the methodology of eliminating assumptions and validating their concept. Key Objectives: Slay the assumptions in the model through customer interviews and testing. Emphasis is placed on the business model to ensure that there are conservative estimates on revenues, expenses, timelines, value proposition, product-market fit, etc. Format: Using various tools including Javelin experiment boards and business model canvas, participants will be guided through the methodology of further eliminating assumptions and validating their concept. There is a heavy focus on the data they have gathered in the prior month from their customer interviews and testing. Key Objectives: Teach Fellows how to identify the core features that need to be in their product/service and how to build user flows and mock-ups to continue validating their key value proposition with customers. Format: Using various Tools including prototyping, mock-up apps and survey tools, participants will be guided through the methodology of developing low-fidelity, low cost versions of their products. They continue using customer interviews and interactions to validate the value proposition and slay assumptions. When they feel they are ready, each team pitches to a panel using a simple slide deck as a guide, and if all are convinced that the market for the idea is valid, they are offered an initial seed capital investment and a place on a full time accelerator program to formally launch the idea into market. The IVC thus far has been a great success story. From 27 starting participants, the first six months from April to September 2016 saw the creation of 9 new fellow businesses. Each of these received an initial investment from our funding partner E2, and they are all current participants in the Foundation’s inaugural full time Accelerator programme. 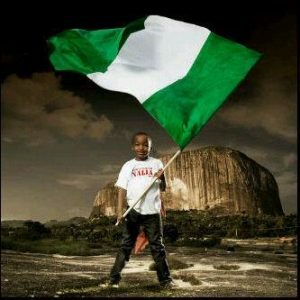 If you owned a small business in Nigeria and earned about $143 per month, what would you do with $50,000 cash? In a fascinating podcast, NPR’s Planet Money looks at a business plan competition in Nigeria with big results and potential consequences for how to encourage entrepreneurial growth. In developing countries most businesses are very small, consisting of one worker and one owner, often the same person. In Nigeria, 99.6% of businesses have fewer than 10 workers. While Nigeria enjoys a flourishing informal entrepreneurial environment, small business growth is capped by lack of access to cash. Small business loans from banks are notoriously difficult to get, and even for those few who are successful in getting the loan, it comes with very high interest rates. How, as government, do you unlock capital for small business owners? How do you identify entrepreneurs with potential for growth from their subsistence entrepreneur peers? How do you encourage transformational entrepreneurs to grow their businesses and create more jobs? 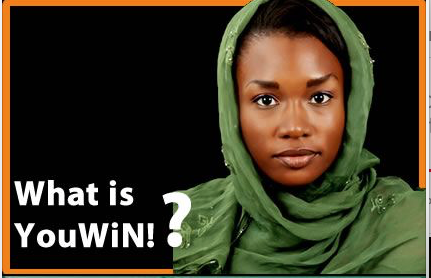 The Government of Nigeria in partnership with the World Bank decided to address these questions by creating a national business plan competition called YouWin! in which 1,200 business owners who submitted winning business plans each received $50,000 towards scaling up their businesses. Chris Blattman, the development economist and blogger believes that YouWiN! could be the most effective development intervention in history. In 2011, in its inaugural year, the competition received just under 24,000 applications. When compared with the control group (of randomly chosen runners up) after three years, those who received the $50,000 were more likely to still be in business and more likely to have grown their businesses. In addition, these businesses enjoyed a 25% increase in profit. From a cost effectiveness perspective, the results are remarkable. The 1,200 winners generated more than 7,000 jobs. While this may seem like a drop in the bucket for the Nigerian economy (Nigeria has about 10,6million unemployed people) consider the cost per job per year figure of $3,606 for the YouWiN! competition compared with the average cost of $92,136 – $145,351 per job per year in the United States. YouWiN’s results have not yet been replicated, but it opens up the question: what would South African entrepreneurs do with $50,000 cash injection? His understanding of entrepreneurship started with the simple possibility that one could create value with what is available and what you’re surrounded with. This truth inspired Ben to start myriad businesses ­– a few while still at high school. This truth also drew him to the Allan Gray Orbis Foundation’s Fellowship Opportunity. He recalls that the application form contained “all the questions that I’d been waiting for people to ask like, ‘Have you started a business?’” To that he could unequivocally answer “Yes.” Through his time at the Fellowship his definition of entrepreneurship has gained a few more dimensions or phases, as he puts it. Not only is coming up with an idea and then selling it entrepreneurial, you would also call building and operating a company entrepreneurial. They might be phases of entrepreneurship, but certainly not prerequisites for calling yourself an entrepreneur. Ben explains, “I think before I was on the Fellowship I always placed myself outside of those phases saying ‘I’m not there yet, I wish I was, I wish I was.’” With the imminent launch of HouseME Ben is certainly “there” now. HouseME is the result of thinking about which industries were ripe for disruption. There may be nothing new about HouseME’s aim of connecting prospective tenants to landlords in residential accommodation. But its use of an auction methodology is set to disrupt the industry: allowing tenants to access a vetted market place and bid on the rent they’re able to pay while landlords are guaranteed to receive income from reputable and reliable tenants. Another feature that sets Ben apart from the one-dimensional view of an entrepreneur is his willingness to fail or rather fail forward. Instead of looking at decisions made or actions taken and terming them failures, he chooses to learn from them and take those learnings forward. The examples of failing forward he cites are rather non-traditional, but insightful nonetheless. He recalls how he failed to play competitive sport while at university and how he failed to travel as extensively as he’d hoped. These failings would remain so if he did nothing to rectify them in Ben 2.0 – what he terms ‘the next iteration of himself’. He’s learned to ask: “Are you currently building Ben 2.0?” Conversely he’s learned that failures are those situations where he’d have to say: “I’ve failed to move forward with this. I didn’t learn the lesson.” In the case of both travelling more and engaging in sports, he has made great progress – joining football and eSports clubs and travelling to India (with Startup Safari) and to Silicon Valley (with Investec Enovate). Ben is also unique in assessing his commercial success rate. He confesses to having had only one successful business ever – Oracle Investments in which he was one of a few partners. “Every single other business I had was a commercial failure,” adding quickly that HouseME is still pre-revenue. “Nothing has worked and those are all traditional failures … And I think it keeps you really humble to know that no matter how big your plan is, there are some things you can do nothing about and it’s about how best you move forward that matters.” Such is the honesty of an entrepreneur who’s learned humility and persistence. Kyle Bradley came on board as Ben’s business partner at an early stage of HouseME because he knew that if it was going to work, it would be bigger than a one-man project. 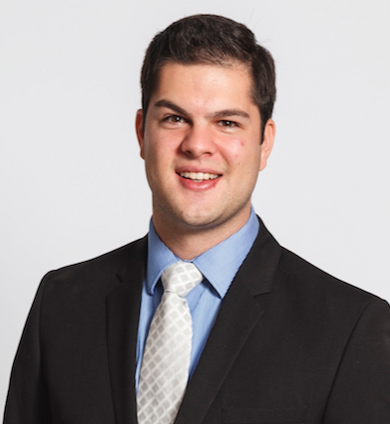 Kyle, having worked in the Cape Town-based startup “Where’s My Transport”, complemented Ben’s corporate experience. He also brought his coding and programming expertise to his role as Chief Technology Officer. Ben shares some pointers below with entrepreneurs on the lookout for partners. You have to be able to admit that you are not good at X, Y and Z. For a founder this would be a really difficult period of introspection. It could be difficult to let go, but you need to identify gaps and find people who can fill those gaps. Point number two is also difficult to embrace when you’ve built a business up from scratch. You might have given everything to it before a partner comes on board, but you have to be willing to give up part of your company, to give up part of your idea, to give up part of the responsibility for running it to people you can trust and are competent in what they do. Regarding points three and four Ben recalls: “One of the lessons that I’ve taken throughout my short career is that references are king. I was referred to Kyle by a friend that I trusted implicitly and it turned out to be a very good meeting. I would never have taken a meeting if my friend hadn’t referred him directly.” He nonetheless warns that a reference is not a golden standard. You should do your due diligence to ensure that prospective partners are competent and trustworthy. The GEC+ in Daegu, South Korea the City of Hope also referred to as “Colourful Daegu” hosted an international audience of entrepreneurship education experts, practitioners, policy makers and academia. 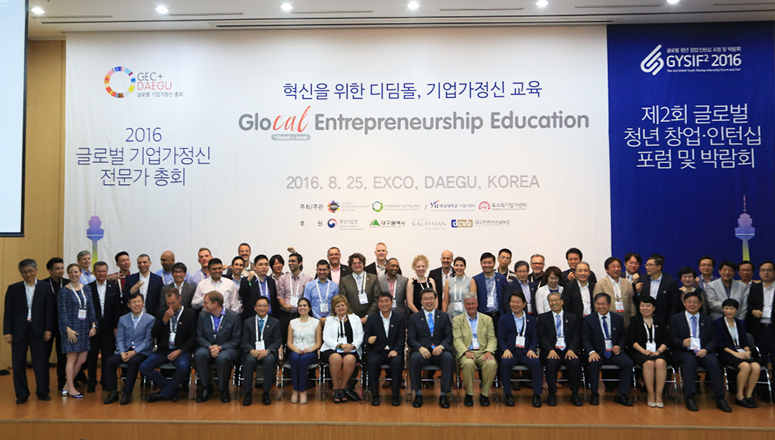 The theme “Glocal” was designed to illustrate the power of collaboration between global and local ecosystems and the focus was to strengthen capacity for entrepreneurship education in all GERN member countries. The GEC+ coincided with the Creative Economy Festival in Seoul where President Park Geun-hye checked in on the progress of the strategy outlined in her 2013 inauguration speech to make the creative economy a key priority for her government. Daegu represents the pinnacle of this strategy in action, deliberately positioning itself as a knowledge economy through active support for convergence between arts, culture, digital and environmental industries. A vibrant city with a rich cultural heritage bustling with innovation and creativity and judging by all the urban construction, also a growing city. The Allan Gray Orbis Foundation was invited to contribute to the opening panel “Entrepreneurship Education” where our CEO, Anthony Farr joined Anders Rasmussen, representing the Danish Foundation – Young Enterprise and Phil Yun-Sock Lee from the Korea Entrepreneurship Foundation. This panel, under the moderation of Prof Byunjoon Yoo from Seoul National University, focused on the importance of entrepreneurship education as a key component for future economic growth and development. The participants looked at entrepreneurship education beyond the realms of just starting and running a business and explored how an entrepreneurial approach to solving problems is useful for socio-economic advancement. The panel advanced the idea that the cultivation of an entrepreneurial mindset as a learning discipline installed in education has the potential to reach a much wider audience. When this happen the impact can be profound, as we’ve come to witness in the story of Israel’s economic miracle, Startup Nation. The Foundation was able to share our learning from a decade of cultivating entrepreneurship, explore what makes us successful and shine the spotlight on the achievements of our Fellows. Our participation extended beyond the opening panel with a Round Table discussion on “Measuring the Impact of Entrepreneurship Education”, moderated by our CEO. Here I was afforded the opportunity to join an esteemed panel which included the Secretary General of the Korea Entrepreneurship Foundation, Gi-Hyun Kum, Anders Rasmussen and Prof Johannes Lindner who leads the Initiative for Teaching Entrepreneurship in Austria. Mr Kum pointed out that entrepreneurship will be installed as a compulsory subject in the Korean school curriculum in 2018 and measuring impact is an important consideration. Defining impact for the Foundation was relatively easy to articulate as our long term goals clearly capture the impact we want to achieve, a R1bn company every two years, 50 000 meaningful jobs by 2030, and 500 enterprises. These goals offer direct evidence of the economic impact we want to achieve and also serve as a guideline for how we track progress and evaluate our success. 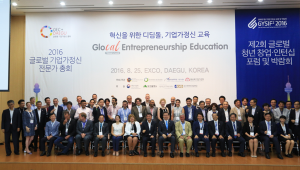 The GEC+ also exposed us to a rich learning environment with many examples of best practice in entrepreneurship education as well as ecosystem development. It was very satisfying to see that experiential learning and gamification are well entrenched in entrepreneurship education methods of many other countries. Similarly, the key message from most entrepreneurship ecosystem practitioners was that collaboration between government, private sector and academia is essential to build sustainability and scale. In addition to this, most presenters and contributors stressed the significance of “glocal”, local relevance and global reach. Local relevance takes advantage of local human, environmental and economic capital while global relationships focus on markets and skills transfer that will contribute to the growth of the local ecosystem. One point that stood out is the requirement for patience especially when it comes to building relationships with policy makers, getting government support and private sector buy-in. This resonates very well with our long term focus as a Foundation and encourage us to see things through despite temporary setbacks and to be relentless in pursuit of our long term goals. We left Daegu on a very high note, our presence on this stage serving as acknowledgement that our work is admired and respected by those who pursue the same goals that we do when it comes to cultivating entrepreneurship. The GERN community is excited to support our deep dive into entrepreneurship mindset and there is significant evidence that our programme interventions are not far from what is happening on the frontier of entrepreneurship education. August 2016: The Foundation is of the firm belief that high impact, responsible entrepreneurs will contribute to a positive economic, social and political change by providing access to education and entrepreneurial development. Their inaugural accelerator programme aims to rapidly scale up nine selected entrepreneurial ventures founded by Allan Gray Fellows. These businesses have evolved through a four month iterative process based on lean startup concepts and the Lean Iterator methodology – a process where startups’ refine and validate their ideas with real audiences, making the necessary adjustments to ensure a sustainable business. The Foundation started this initiative to assist Fellows move from idea mode into action a business startup – research suggests that this is the most difficult and volatile stage of choosing to run a business. Most people stagnate in idea mode and many start-ups fail in the initial stages due to a lack of support and market access. The next phase of this accelerator, launched in Cape Town on 1 September 2016. The accelerator programme will change the future of nine Fellows who have founded, innovative enterprises intending to impact the South African startup landscape. This, accelerator has been developed by the Foundation in collaboration with E2 and Cactus Advisors supported by Standard Bank Future Labs. HouseMe – connects prospective tenants to landlords of residential accommodation. HouseME allows tenants to bid on what they are willing to pay for a rental and is backed by a dual-sided rating system similar to Uber or Airbnb. houseme.co.za. Business owners: Ben Shaw and Kyle Bradley. Parktown – a CT-based clothing brand which aims to remove a customer’s need to try on clothes before purchasing them. All clothing created by Parktown is made-to-measure and assembled locally. https://www.facebook.com/parktownclothing/ Business owners: Zara Hammerschlag and Tamryn Smit. Rooster– alarm app that seeks to change the way people wake up in the morning. Business owners: Dom Koenig and Josh Perry. Scoody – manufactures and distributes a custom garment called the Scoody (Scarf-Hoody) to corporates, sporting brands, schools, societies, events and promotions companies, and individuals. scoody.co.za. Business owners: Sechaba Selialia. These businesses have evolved through the four month iterative IVC process based on lean startup concepts and the Lean Iterator methodology – a process where startups’ refine and validate their ideas with real audiences, making the necessary adjustments to ensure a sustainable business. The Creation leg of the programme will run for 13 weeks, from the 1st of September to 30th of November 2016 at the Standard Bank Future Labs centre in Cape Town. The founders of these startups’ will be immersed in an intensive programme to rapidly expand their businesses, they will be exposed to mentorship by leading business experts in various industries, insights from target audiences in both consumer and business, strategy development and pitch coaching. The accelerator enables the selected businesses to rapidly scale up through a structured programme that provides content workshops, business mentors, industry leaders, influencers and experts, in addition to founder-friendly funding. E2 will provide initial funding support to the ventures and at the conclusion of the program; ventures will be eligible for follow-on funding and support. The nine businesses that complete the program will present the milestones, demos and learnings on the 1st of December 2016. The Foundation would like to take this opportunity to celebrate the brave Fellows that have taken the first step to starting a business.